Congratulations on making the decision to take back your financial life! It is understandable that most people are very nervous about bankruptcy and a certain amount of hesitancy is to be expected. Filing for bankruptcy can be a very scary process when you don't know where to start. It is the goal of Carmen G. Soto an experienced Fort Lauderdale bankruptcy lawyer to walk you through each step of the process with as little stress as possible so that you and your family can emerge debt free and on the road to financial recovery. The biggest misunderstanding regarding bankruptcy is that you will lose all of your assets and that you will never be able to regain your credit again. The Law Office of Carmen G. Soto located in Downtown Fort Lauderdale, is focused on meeting the needs of clients before, during, and after filing their bankruptcy cases. Filing for bankruptcy may be one of the most difficult and emotional decisions that a person may face. She is prepared to assist you along this path so that your case may be as efficient and complication-free as possible. There are many benefits to filing for bankruptcy. 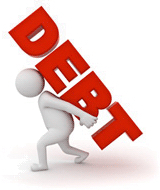 Chapter 7 Bankruptcy provides debt relief, which is the ultimate goal of any client. It can also assist you by relieving tax debt and discharging overwhelming credit card debt. Our attorney will explain the guidelines and restrictions of your personal bankruptcy in order to help you determine if you are eligible for all of these benefits and much more. Since 2001, Carmen G. Soto, Esq. has been committed to assisting all of her clients with their legal needs. Unemployment in Fort Lauderdale fell to 7.5% this year, the lowest the rate has been since 2008. In this time of economic uncertainty, many people are looking for a way to rebuild their financial future and unburden their already over extended budgets. Chapter 7 Bankruptcy allows a person to have a fresh start, a second chance. Contact Bankruptcy Attorney Carmen G. Soto. Payment Plans Available! You may find yourself drowning in medical debt, tax debt, credit card debt, or other bills resulting from an injury. You may have recently been through a divorce which left you with marital debt that you cannot possibly recover from. Creditors may be contacting you demanding payment and harassing you with unreasonable demands. Carmen G. Soto can assist you in obtaining the relief that you need. Chapter 7 Bankruptcy may be the answer to your problems. Bankruptcy does not have the negative stigma it once had. The best way to protect yourself and preserve your emotional well-being is to hire a highly trained and experienced attorney like Carmen G. Soto to represent your interests within your case. Don't ignore your debt any longer. Often when people look at the problems they are facing overwhelming debt is #1 on their list. Don't let your debt continue to get out of control, find help today! Broward County Bankruptcy Attorney Carmen G. Soto has the sensitivity, forethought, and experience to throw you the life saver you need. Carmen G. Soto, Esq. was recently chosen for inclusion in the 2012 Florida Rising Stars list in the Florida Super Lawyers magazine, an honor reserved for those lawyers who have shown excellence in practice. Get serious about attacking your long term debt and take back your Future today! Call Fort Lauderdale Bankruptcy Attorney Carmen G. Soto today and get started on the path to financial relief.